Mark graduated from San Diego State University with a degree in Real Estate Fi­nance. 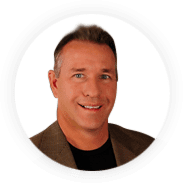 Mark has been involved in the real estate industry for over 25 years and has been a broker for the past 15 years. Born in California, Mark has lived in Aliso Viejo and is an active member of the community. He has a wonderful wife and 3 active boys. During his leisure time he enjoys coaching his son’s surf team and taking his kids on Boy Scout adventure trips. He personally enjoys mountain bike riding, surfing, and golfing, when he has time. Mark’s customer service and his ability to listen to his customers’ needs has earned him many awards over the past few years for being a top producer in the mortgage industry with over two thousand loan transactions completed over the years with his team.